The revolutionary art movements and currents of the first half of the 20th century left their imprint of the whole culture of the world. Elements of Dadaism, futurism and surrealism can still be found in the work of many contemporary artists, regardless of the genre they are associated with. However, if one were to try and find a cultural niche where these concepts remain alive without serving as a mere quote or reference, the answer could be only that they have clearly persisted in the subcultural industrial movement, which is still faithful to the avant-garde ideals of almost a hundred years ago, keenly drawing on its output while rejuvenating it and making it up-to-date within its vision of independent sound art. The industrial culture, which was born on the ground laid by the rebellious currents of the late 60's of the 20th century and assumed its fully developed shape in the 70's, is the product of ideas originated by Filippo Marinetti, Luigi Russolo, Andre Breton, Tristan Tzara, Kurt Schwitters and other like-minded artistic revolutionaries. Inspired by writers such as William Burroughs and complemented with the music output of the first official electronic music centres, including the Experimental Music Studio in Koln, or the works of avant-garde composers of musique concrete and contemporary classical music, as well as filtered through the prism of the cultural and sexual revolutions, it became an entirely new world of artistic activity, ceaselessly impacting a variety of human activity spheres, e.g. design, performance art, painting, and, clearly, music in its multitude of shapes. 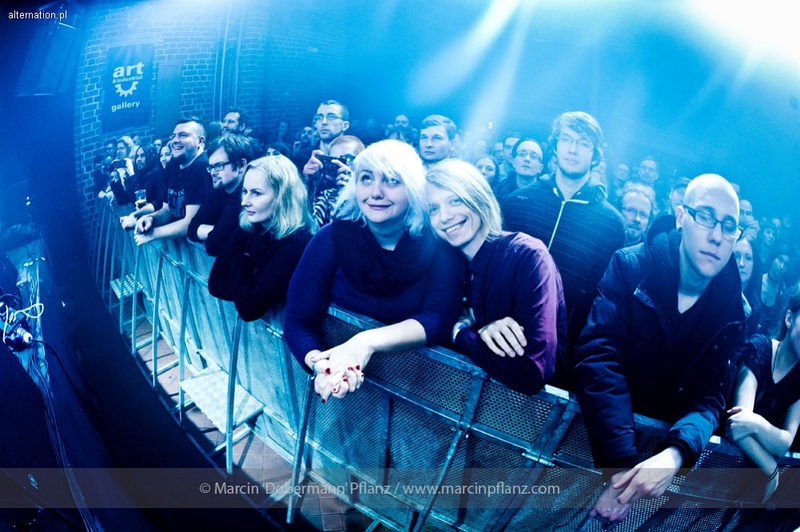 Wrocław Industrial Festival will be held this year for the fourteenth time, and once again, for a few November nights, it will become a platform for meetings and exchange of information and experiences for fans and artists from all over the world. 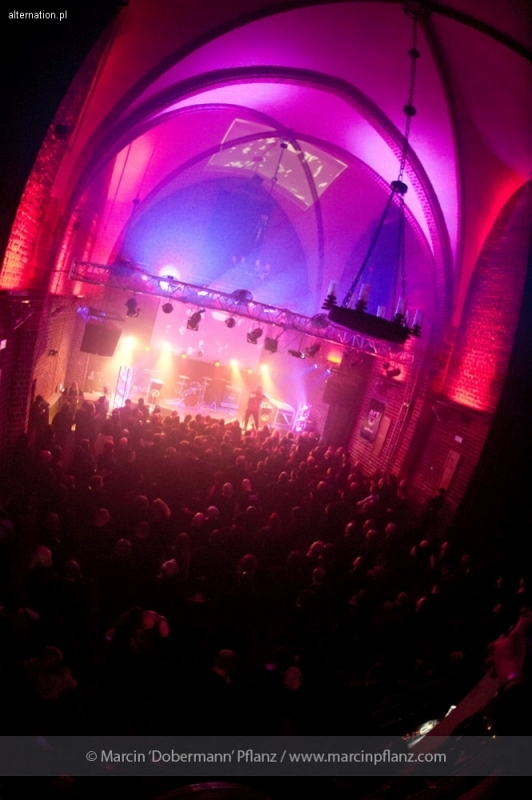 As every year, the atmospheric stage of the Gothic Hall, located in a former medieval monastery in Purkyniego Street no. 1, will see both well-established musicians who laid the foundations for the genre's development and young artists not shying away from injecting fresh ideas into the aesthetics of the industrial genre. Tony Wakeford does not need to be introduced to most listeners - his contribution to the establishment of the wholly new neofolk genre stemming from industrial music cannot be overestimated. In the 80's of the 20th century, he was one of the founding members of two UK-based influential bands - the punk act Crisis and the neofolk Death in June. His latest undertaking is a project named 1.9.8.4. - a band in which Wakeford goes back to the roots of his music activity to rearrange and reintroduce to the audience the pieces by Crisis and Death In June which he wrote or co-authored. 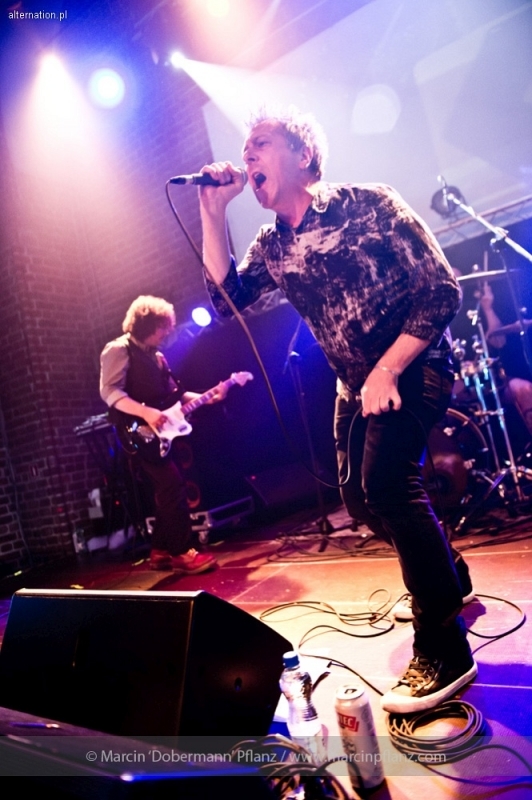 Alongside Wakeford, the band’s members are the guitarist Clive Giblin of Alternative TV and the drummer Terry Davey, known from groups including Intensified. According to the musicians, the project is intended to be a live act, but it is already preparing to release a live album and the single Back In The USSR/ Nothing Changes on the Norton North label. 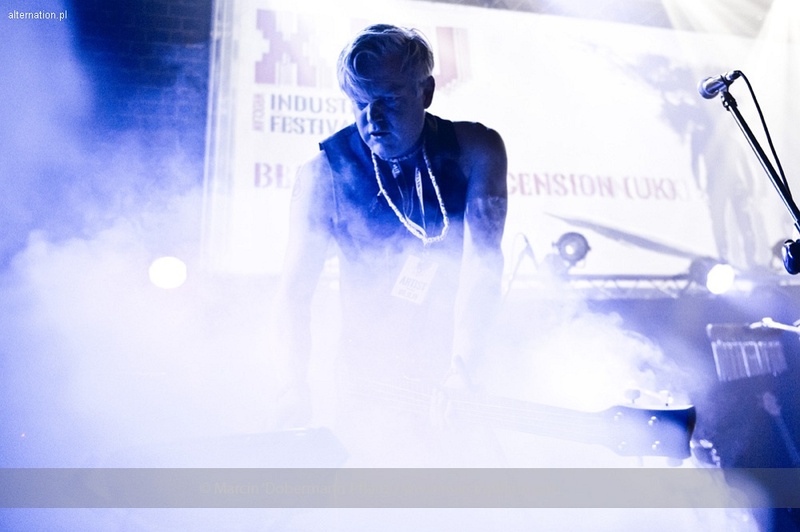 The Łódź based musician and graphic designer Łukasz "Dani" Czajka has been active on the Polish industrial scene already for more than a dozen years. 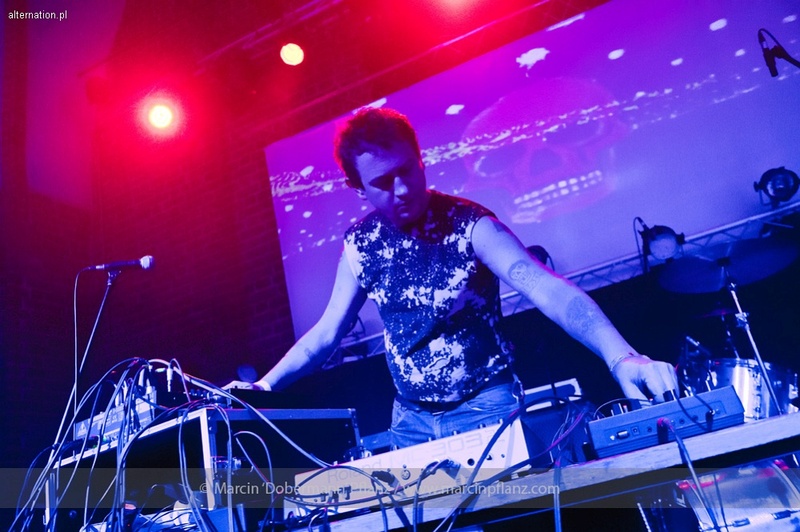 He debuted in 2002 with his Zoth-Ommog project, but it is the dark ambient Abandoned Asylum, set up two years later, that remains his most important artistic venture. The project boasts four releases, the last of which, entitled Derelicts of Distant Hope, was put out by the influential American label Malignant Records. There is no unnecessary experimentation in Abandoned Asylum's music - the emphasis is first and foremost on the creation of a thick, dark and distinctive atmosphere, enriched with tens of nuances none the less. BLACK LIGHT ASCENSION commenced operations after the untimely demise of Knifeladder in 2008. After some high profile supports, including Rhys Fulber's Conjure One, the first album Ashes was released via Haurock! In 2011. Seen by many as a catalyst for much of the electronic Post Punk revival, Ashes was both deeply personal and highly political, documenting the spiritual collapse and the violent dismantling of the welfare state in the UK. Comparing the techniques of media control and coercion used in the Neo Con world to that of the Cold War, the effect was a paranoid noir rendering via massive analogue drones and piercing metallic bass. The latest album Post Future Recordings takes this approach even further, with experiments in apocalyptic mutant disco and tragic romantic orchestral pieces, put together with a complete disregard to transient sub genres and trends. Live, Black Light Ascension has stripped down to a powerful two piece, with Hunter Barr (Knifeladder, Antivalium, Naevus, Andrew King) taking control of electronics and samples, and Andrew Trail (Knifeladder, Antivalium, Ministry Of Love Australia) delivering vocals, percussion and additional noise. Black Light Ascension look forward to delivering an incendiary set of both new and older material in Europe for the first time. Created in the middle of the 80’s, CENT ANS DE SOLITUDE is a one man musical project, formerly based in Tours. Apart from the first “extreme” industrial wave, the band sets up dark atmospheres while developing long ambient electronic sequences, repetitive and cinematic with some snatches of minimal melodies that are captured before they disappear forever. Whether studio or on stage, the approach of this self-described “sound craftsman”, remains the same; to develop evocative ambiances, alternating between darkness and melancholy. To do so, he uses pre-recorded electronic layers and sounds, adding some acoustic elements; live manipulations of bastardized objects from their original function, such as scratched metal, hit stone, misused springs etc… the physical strength of sound being effected by the level of vibration on the objects. Column One was founded in Berlin, 1991 as the ideological basis for an (aesthetic) approach to structures, philosophical ideas & media of the (now) western world. The philosophical ideas of radical constructivism (Paul Watzlawik etc. ), the paths of the cut-up demonstrators such as W.S. Burroughs, Bryon Gysin & JŸrgen Ploog, the experiments of pop-terrorists like Genesis P-Orridge with Psychic TV & the films of directors like Andrew Tarkowski, Derek Jarman, Ingmar Bergman, Lars von Trier, Alexandro Jodorowski have had greater influence on the foundation and the work of Column One. A fragile borderline between a dream and a nightmare, this is where the sound by Daina Dieva commences and this is wherefrom it evolves towards one or the other extreme, remaining in the twilights of the moment just before the dawn breaks.Daina Dieva is a one-woman dark-ambient / drone project from Lithuania. 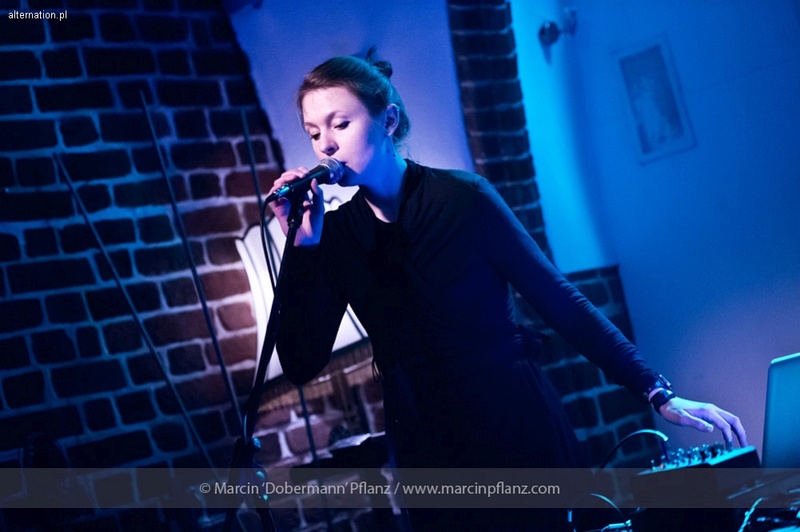 Meticulously composed special half-hour pieces for each of her live performances offer a sound-trip that oscillates between silences and drone-scapes, interweaving voice, guitar passages, flutes, bells, with layered field-recording based sounds and digitally constructed sequences. Singing in a quiet distant voice(s), Daina lets her eerie texts, written in her mother-tongue, haunt the unaware audience. Mark Spybey has released 20 albums as Dead Voices on Air (DVOA), the most recent being a triple cd: “Never Too Much of Nothing.” Now based back in his native England, Spybey was a member of Zoviet-France in the eighties and a founding meber of Download, when he lived in Vancouver in the nineties. 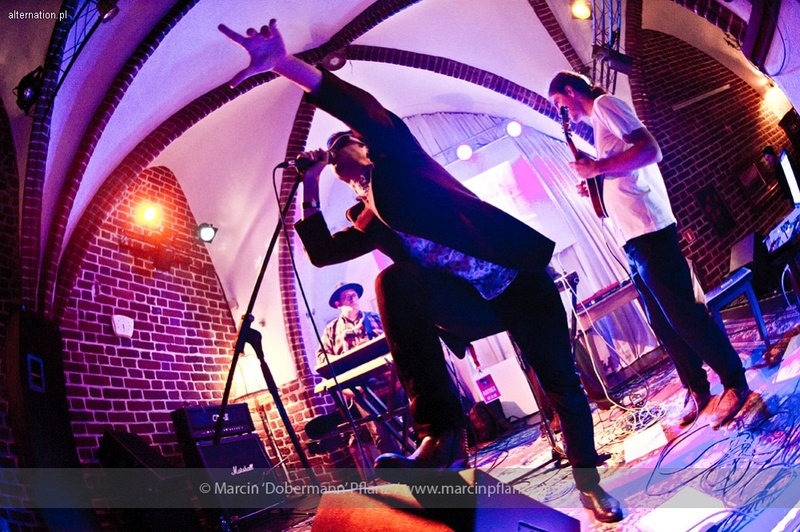 He has worked with members of Can (he was a member of the late Michael Karoli’s band Sofortkontakt! and played at all the Can 30th anniversary shows) and has collaborated widely with artists such as Faust, James Plotkin, Jarboe, Simon Fisher Turner, Robert Hampson, The Legendary Pink Dots, Pigface, Genesis P Orridge, Mick Harris amongst many others. 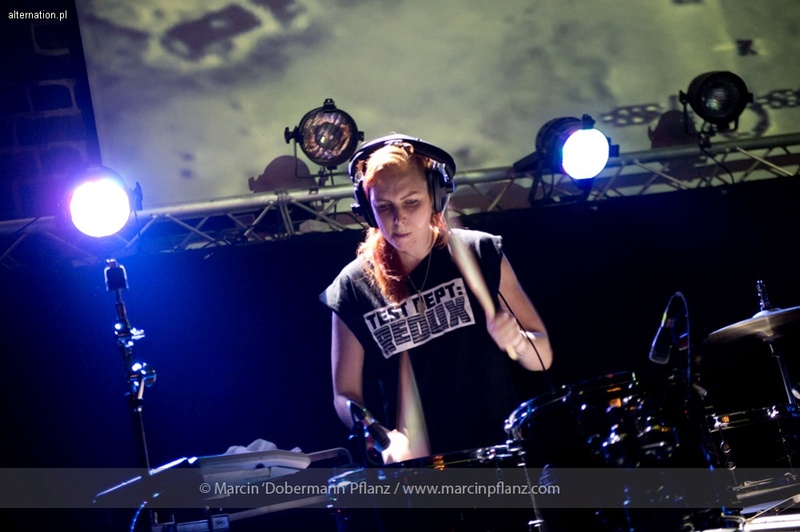 He works with ex-Zoviet France alumni Robin Storey (Rapoon) in the band Reformed Faction. In recent years he has released two albums with Phil Western from Download as Beehatch. He has also released several cd’s withTony D’Oporto as, “Gnome and Spybey. He continues to tour, to record and to play live. Music is for eyes. 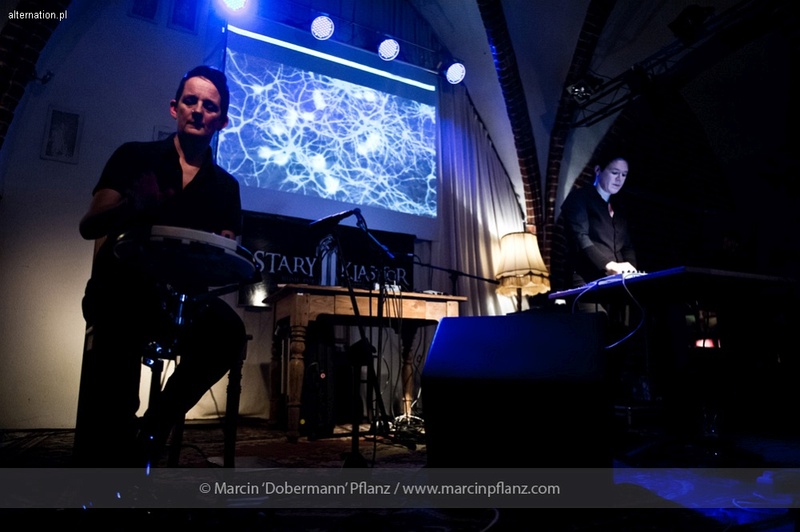 A special gig where Marek Marchoff and Ingrid Swenn are going to present songs of these two acts in new arrangements made especially for this evening. 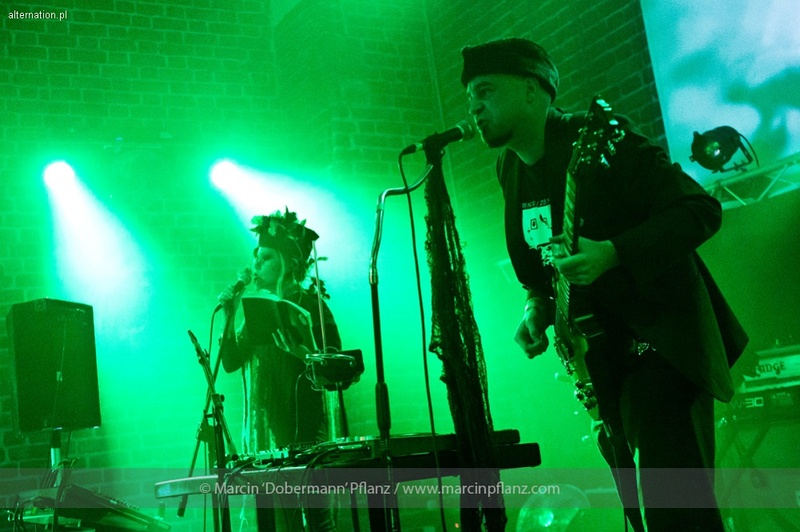 The fusion of illbient and macabre folk in one gig. 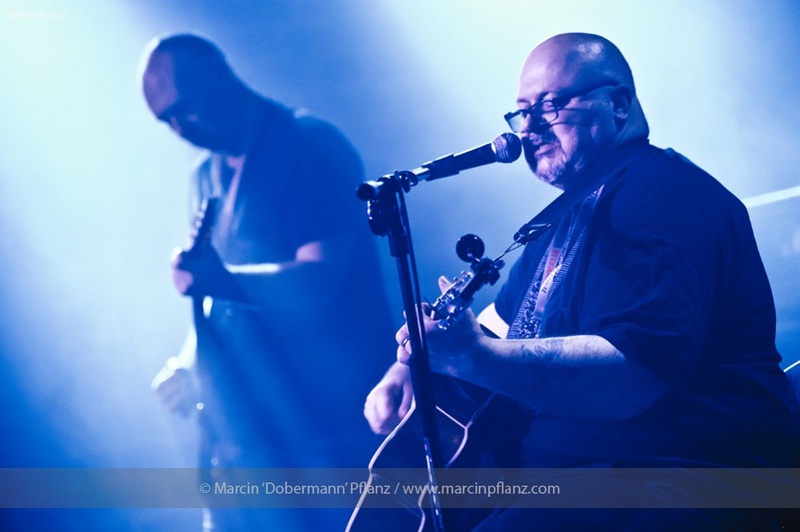 23 Threads - macabre folk ensemble performs for the first time in our country while promoting their new "Conspicuous Unobstructed Path" album while Different State returns for gigs to Poland after 10 years. 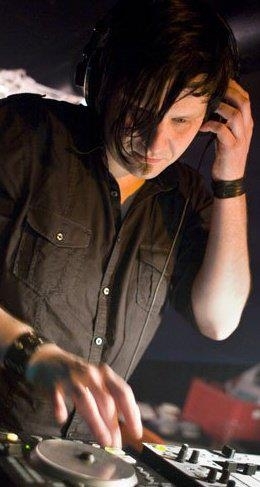 Eric has DJ'd at many international events and clubs: Schlagstrom festival, Wave Gotik Treffen Festival, Whitby Gothic Weekend, Duncker, Slimelight, Blutenrausch, Resurrection club, Semi resident DJ for Wroclaw Industrial Festival. 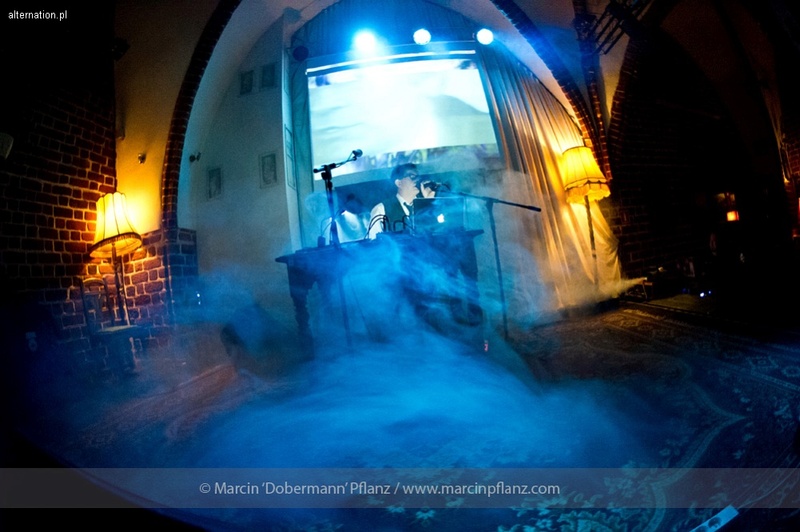 Eric is now based in Dresden, Germany and co organises the annual Tower Transmissions festival. In the last 6 years the festival has grown into one of the most respected festival in the Industrial field. 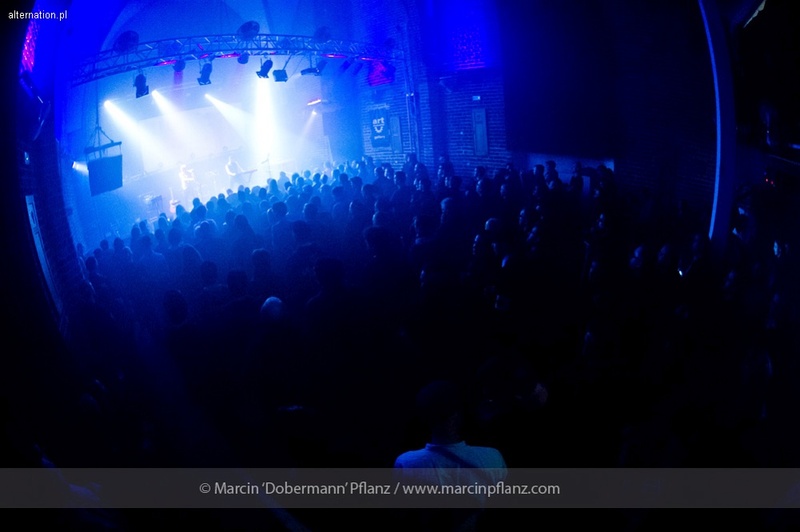 Bands that have played at TT include Genocide Organ, Club Moral, Sutcliffe Jugend, Grunt, Consumer Electronics, IRM, Thorofon, Ramleh, Nordvargr, The New Blockaders, Nikolas Schreck, Bizarre Uproar, Brighter Death Now, and many many more. DJ / reviewer / video terrorist. Promoter of syncretism of a dub culture with industrial movement. 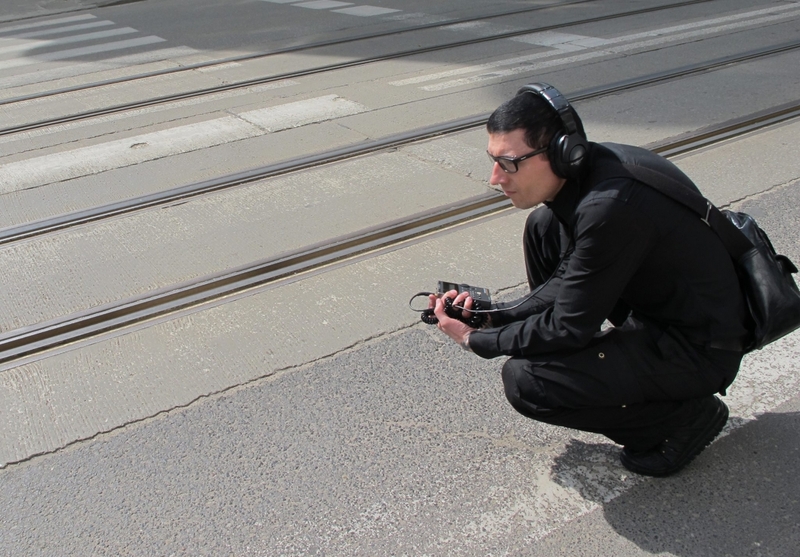 Rhythmic noise and low-band bass animator, creating atonal urban ritual. The creator of contrast, black and white video collage, member of the [haven] project. Loosely associated with the ICTUS LABEL where he realizes his audio-visual manifestos. In addition, he's working with the magazines: HARD ART, PRZESILENIE, also is a creator of PATOGEN zine. 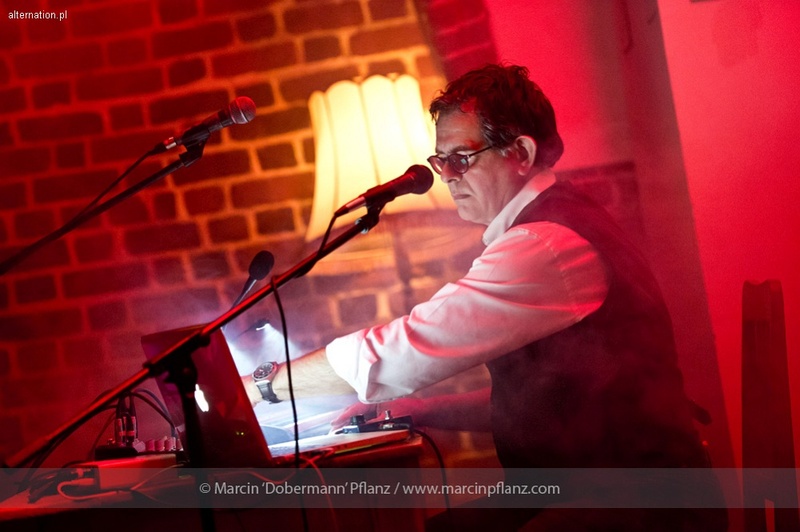 Bernhard Hansbauer has been active as /*DJ Scrag! */ since the late 1980's, playing a wide selection of dark electronic, industrial and experimental music in various clubs and on various stages around Europe. Bernhard is also organising shows and parties, mainly in Vienna/Austria. He also runs the label /*Bleak */(as netlabel since 2007, and with physical releases since 2012), with releases and contributions from many artists from the early era of Industrial / Post Industrial, like Coil, Konstruktivists, Attrition, Nocturnal Emissions and many more. 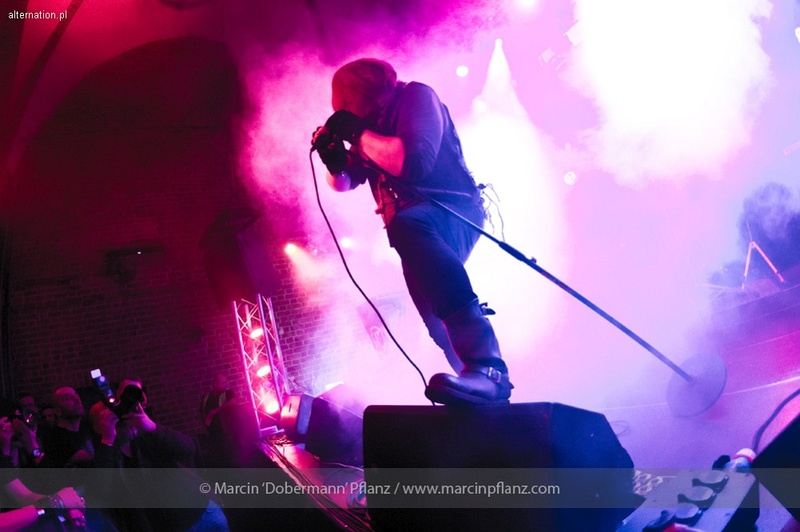 Bleak also released a free download compilation for the 10th anniversary of the /*Wroclaw Industrial Festival*/.On this year's WIF, three bands with releases or contributions to Bleak releases are on the bill, find out who at http://www.bleak.at. Wiktor Skok - this name come to mind when you’re thinking: „Lodz’s underground”. Still present since the 80’s. Witnessed the decline of city's industry he became a true Stakhanov of bruitist music. Promoting numbers of D.I.Y. 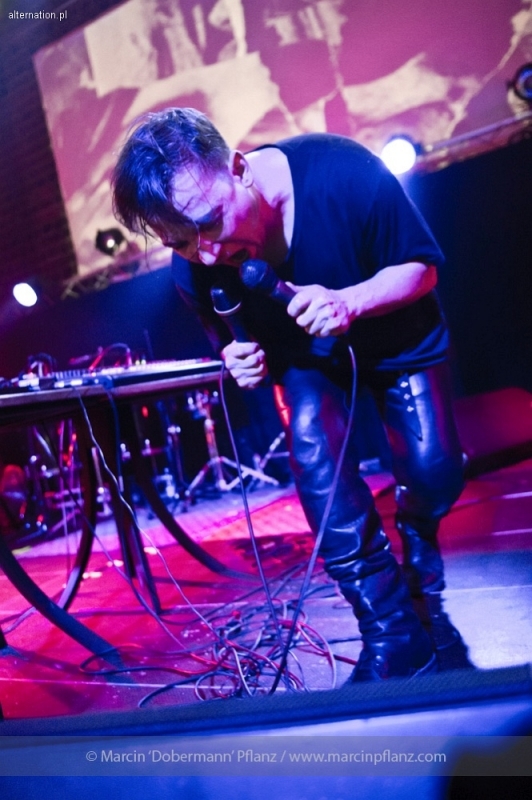 industrial electro parties, inviting bands and artists from abroad, organising punk shows in bunkers, warehouses tunnels and old factories he became one of the most active scensters of Poland’s underground. He promote machine culture and esthetics from the year zero. His discoteca output differs from pounding strong industrial beat, rhythm’n’noise, EBM just to electro punk and sweet ultra danceable electroclash. 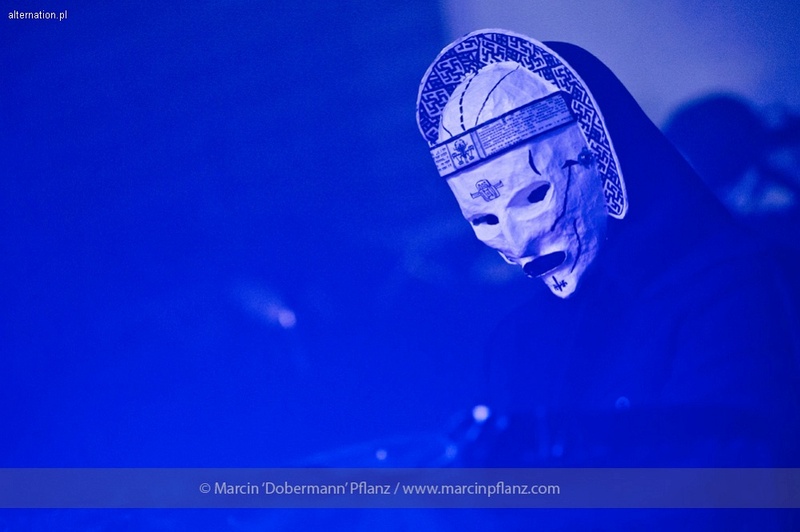 A great admirator of Expressionism and Film Noir, his musical tastes go from SPK, Esplendor Geometrico and Slogun by Front Line Assembly to John Foxx or Adult. 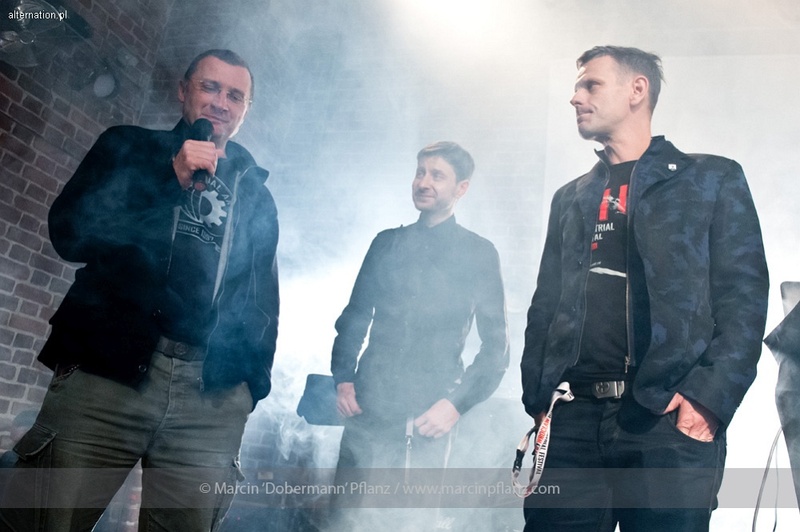 Besides he is the singer of the most (in)famous polish industrial band Jude, publish his own zine Plus Ultra and try to make a living writing articles and revievs to some mags and actively DJing around. An explosive in an urban decay. 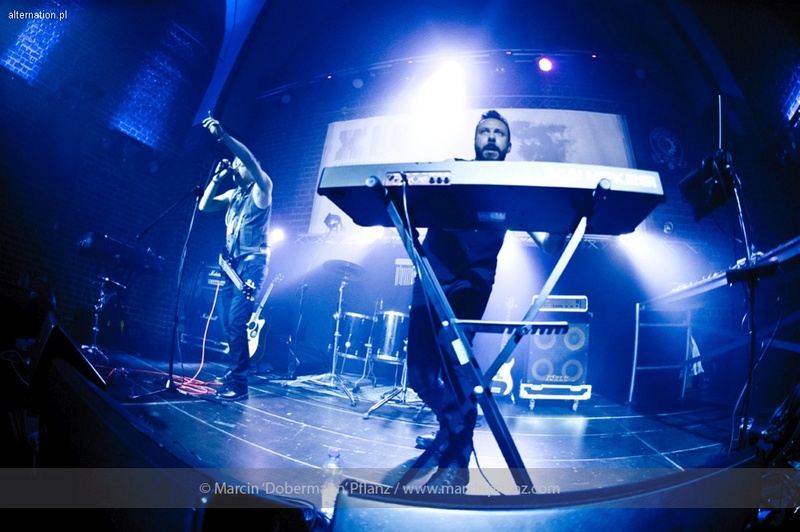 Escape From Warsaw is a new musical brainchild of Karol Suka, known from projects including the electronic-experimental Arkona, active 1995 through 2003, and the acid punk Street City Nomads, set up in 2006. 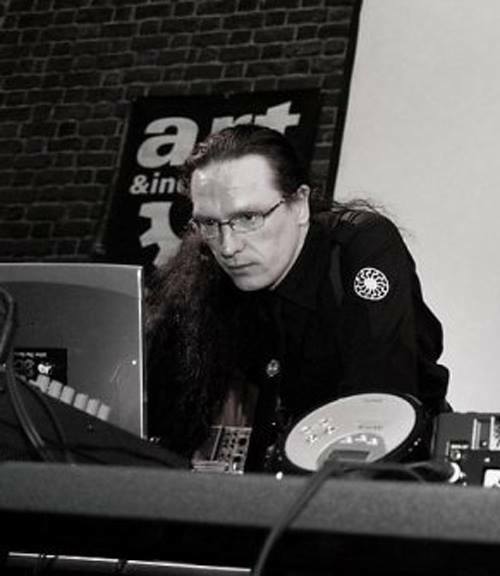 The project's music is a follow-up, both in intellectual and stylistic terms, to the experiments of Arkona's releases - a journey into unknown areas, psychedelic meanderings attained with the use of analogue equipment, acid bass, beats and dub echoes, sonic twists and collages made with samples lifted from old films. Last Dominion Lost was created in 1992 on the ashes of the band Merge, set up by Dominic Guerin, one of the co-founders of SPK, and John Evans, with John Murphy joining the new project later. 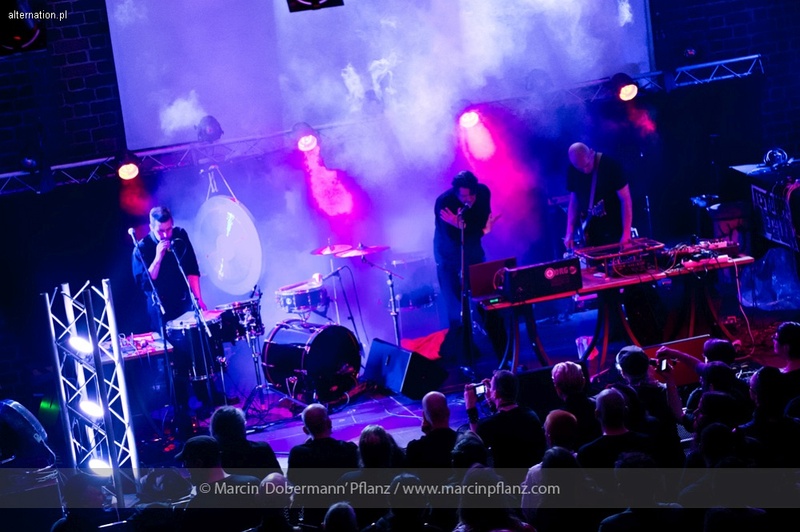 The band's music directly draws on the best of the old school, original industrial music - it is raw like SPK's compositions, full of the dark atmospheres of Lustmord's early records and based of the sound of metal percussion instruments that can be associated with Z'ev or Test Dept. This description, however, does not do justice to the project, as Last Dominion Lost was not created as part of the derivative genre revival wave. Obviously, one can hear references to the early industrial scene, but these stem from the band members' individual approach to sound creation and their extensive experience as some of the godfathers of the whole aesthetics. It is not a mere trip down the memory lane, but music that reminds the listener where it came from and how the entire industrial revolution started; that is from acoustic sound generation methods, blood, sweat and the spirit of genuine experimentation. 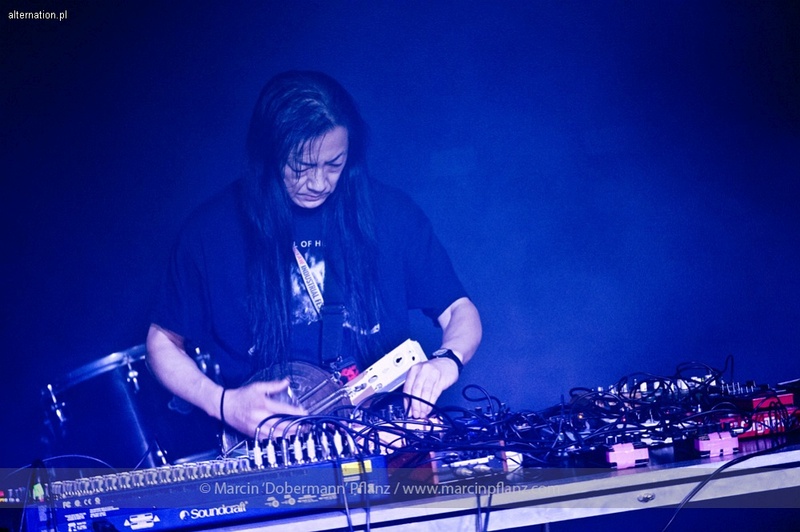 MERZBOW was created in Tokyo in 1979 under the direction of Masami Akita, and he is the godfather of Noise as a genre. His discography contains over 300 separate releases, often in collaborations. In 2001 he released the highly acclaimed "Merzbox," a boxed 50-CD collection of many of this earlier rare and unreleased recordings. To this day Masami continues to record and release music at an unmatched rate. 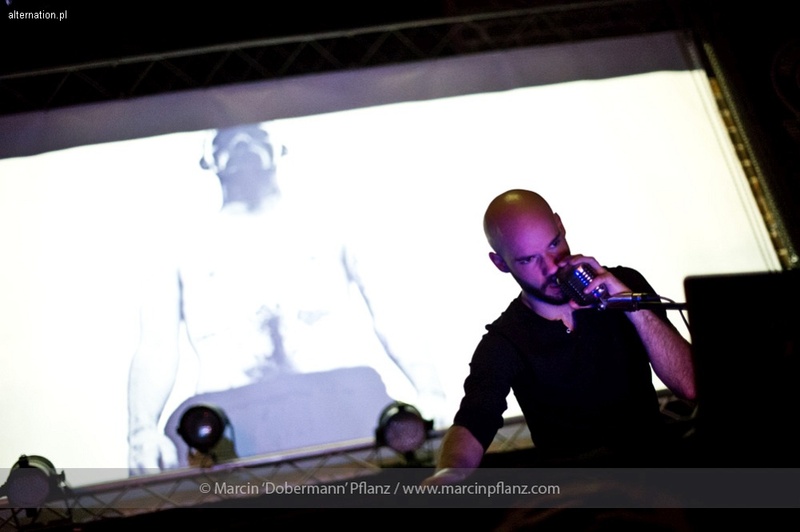 MUSHROOMS PATIENCE of Raffaele Cerroni, also known as Dither Craf, is a perfect example of radical and total sonic eclecticism - it involves so many ostensibly inconsistent and surprising elements of various sonic aesthetics. 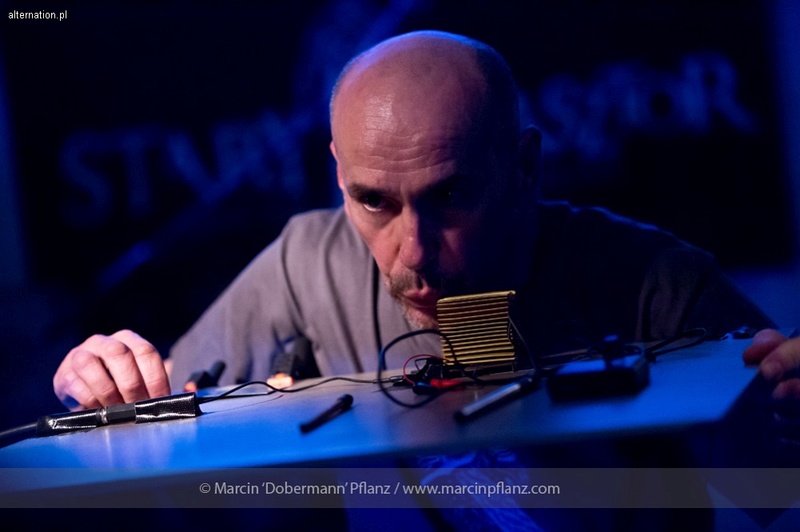 Both critics and audiences see in it traces of acid jazz, noise, folk, electronica, as well as experimental and improvised music, while the very creator of the music provides even more confusing terminology by using new names he has coined on his own, i.e. retro-garde, atonal pop music, post nuclear folk or event post-human music. 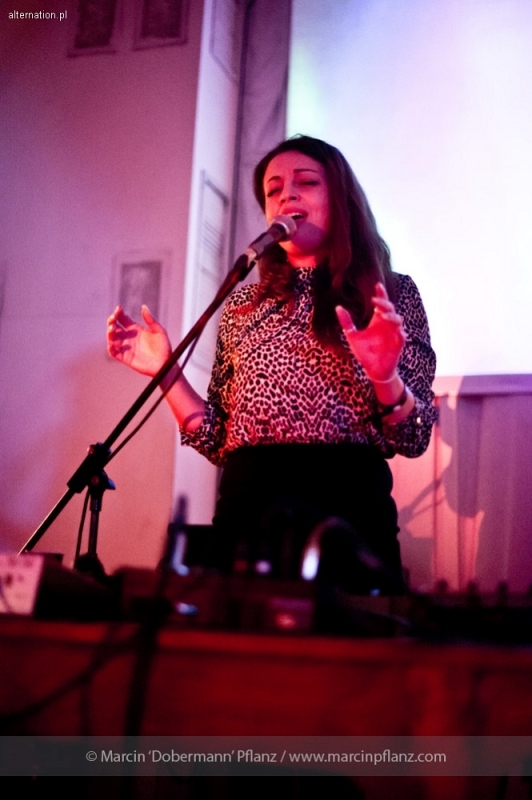 Mushy is the solo project of Valentina Fanigliulo, a sound-experimentalist rising from the dusty ruins of Rome, the eternal city. a spellbinding universe that emerges from the mixture of analog drum machines, burgeoning cold drones, tempestuous noises and spectral chants. She has been deeply inspired by the works of Cocteau Twins, Dead Can Dance, Slowdive, Lush, Minimal Compact, New Order, Swans, Nico, and legendary singers Nina Simone and Ella Fitzgerald.‘Faded Heart’, her debut album, has been released by Italian underground label Mannequin Records on Feb 2011.The album was picked as Rough Trade’s "Album Of The Week", in March 2011 and was described as the most convincing European answer to contemporaneous releases by American artists such as Zola Jesus and Tamaryn. Mannequin Recs on November 19th 2012 released “Breathless” where artist takes the blueprint laid down on her last album and it blows it up to an analogue hd, a deep, evocative and immersive listening experience that cocoons the listener in sensory loss and ecstasy simultaneously. Her last work has been again "Album Of The Week" and "Album of The Month" by Rough Trade. Ian Dominick Fernow, one of the most prolific contemporary experimental sound artists, is known for a multitude of various music undertakings, such as the techno-like Vatican Shadow, the black metal Roma Cross, the abstract Mitochondrial DNA, and a great many others, but his most famous project, also one most appreciated - only on the industrial music scene - is the noise act Prurient, whose discography boasts almost 150 releases, as of today. Fernow's noise has many faces - from radical, brutal and merciless forms assaulting the listener's all senses, all the way through slightly less extreme recordings where he combines the noise aesthetics and ambient music, to his own, modern eclectic and even catchy take on the noise genre, in which one can find inspirations drawn from a number of other music styles. 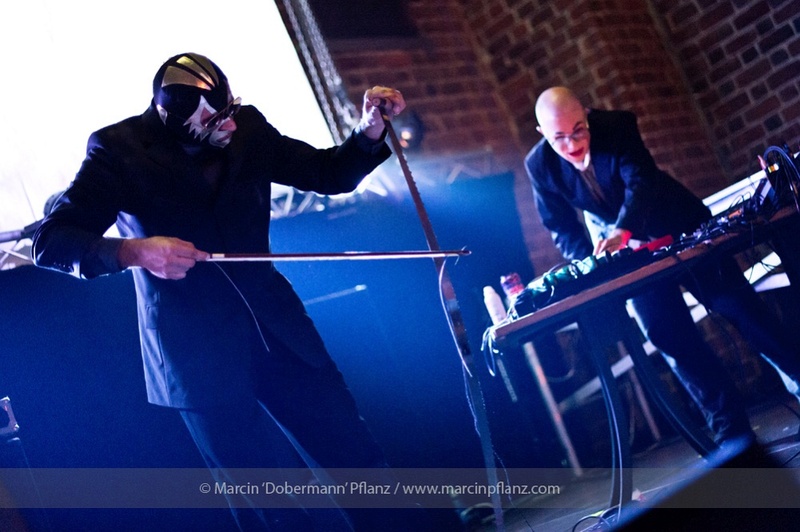 Rigor Mortis – the forefathers of sampler music in Poland, revolving around psycho-industrial noise. 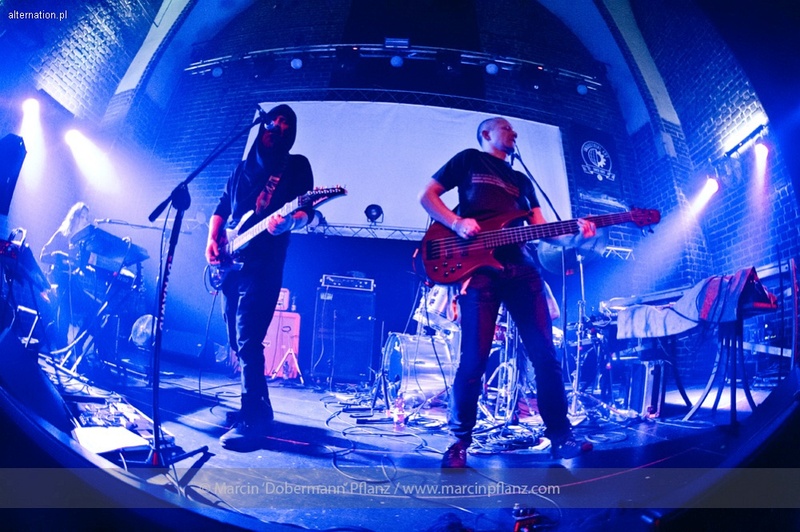 During the three years of activity in the 90s, they played almost 100 gigs, toured with Variete band and performed at the “old” Jarocin in 1992 and 1993. They return, after twenty years of silence. The original members Maciek Stoliński (vocals) and Jacek Sokołowski (drums) are joined by new blood: Gośka Florczak on samplers and Grzesiek Chudzik on bass. Brand new astonishingly precise material is born. Contemporary Rigor Mortiis sounds is like ragged Icelandic icebergs’ tops, immense expanse of Scandinavian north, like marriage of Scottish Rosyth port obscured by thick fog at dawn with industrial, torrid afternoon in Ruhr. Their music is a journey into the deep dark maze of the soul, accompanied by a demolition hammer that rips away the listener from his comfort zone. 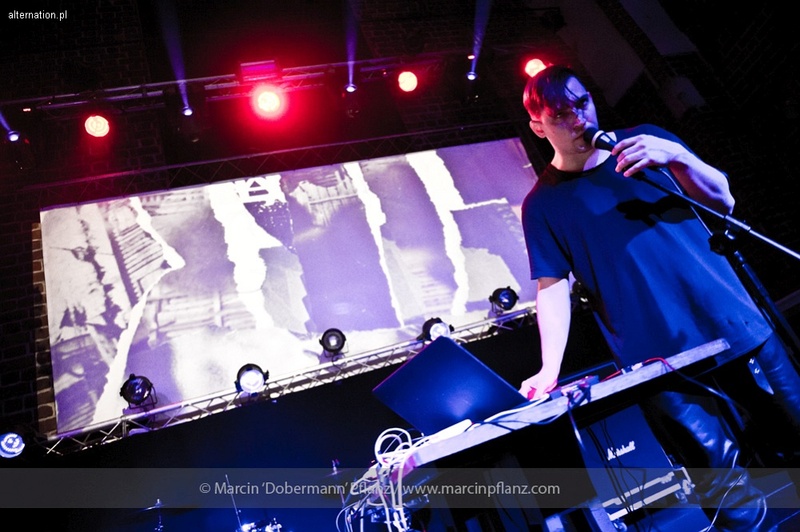 Today they create new music genre: industrial minimalism. Close your eyes, open your senses and experience throughout musical emotions. Screening: "Industrial Soundtrack For The Urban Decay"
"Industrial Soundtrack For The Urban Decay" - screening and Q&A with directors Amélie Ravalec & Travis Collins. Industrial Soundtrack For The Urban Decay is the first film to trace the origins of industrial music, taking you on a journey through the crumbling industrial cities of Europe to America’s thriving avant-garde scene. Discover the personal story of industrial music founders Throbbing Gristle, Sheffield’s prolific Dada inspired band Cabaret Voltaire, award-winning soundtrack composer Graeme Revell of SPK, noise music inventor Boyd Rice of NON and fifteen other of the genre’s most influential figures, exposing their incredible stories for the first time on film. Shadow Biosphere are a new London-based ritual dark ambient two-piece featuring two members of Sol Invictus. They released debut album on US based Nine Gates Records in 2014. 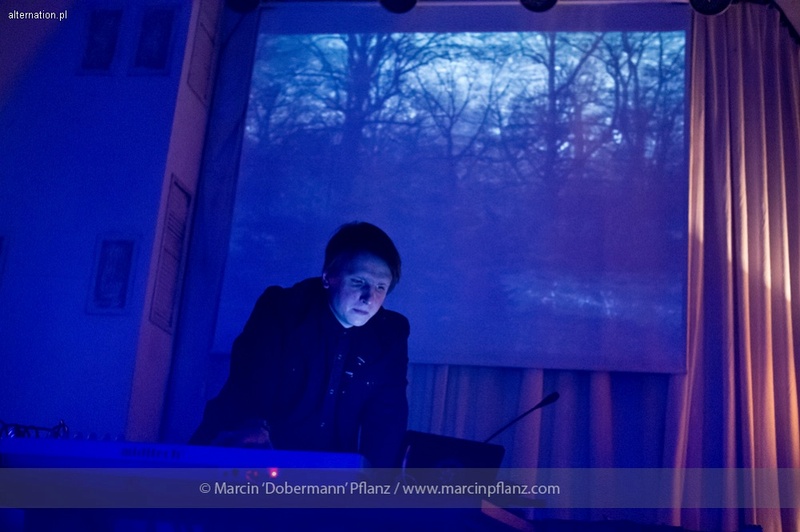 The present wave of 80's nostalgia has brought a crop of bands whose distinctive features include cold electronic sounds, melancholic lyrics and a return to synthesizer driven music aesthetics. The undisputable majority of these are mediocre imitators, blindly copying their cult heroes' work and neglecting song writing quality while failing in the domain of musical originality. Hailing from the Serbian city of Belgrade but based in Berlin, Sixth June, set up in 2007, clearly stands out from the crowd of epigones. The filmmaker, musician and artist Laslo Antal and the actress and singer Lidija Andonov have professionally and creatively approached the legacy of the 20th century's penultimate decade - their music, referred to as "sweet and dark electro-pop", draws on the best of the music by bands and artists such as Propaganda, Depeche Mode, The Cure, Bauhaus, John Foxx and Gary Numan. It is certainly homage to the 80's but one characterised by a modern, contemporary sound. 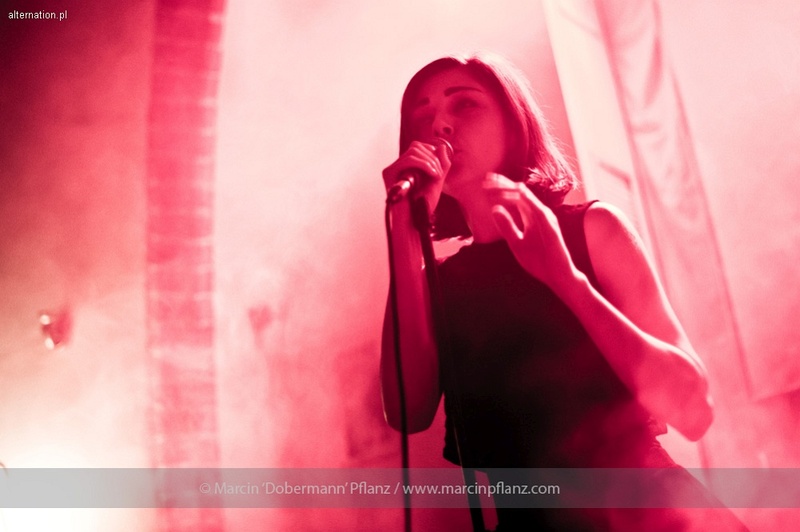 Sixth June is a real gem of the new minimal synth scene. 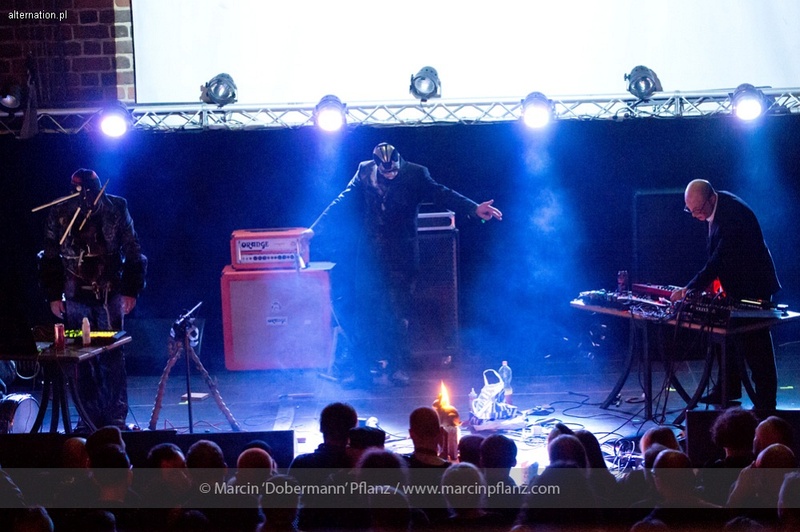 Founded in 1987, Sol Invictus is a band that can best be described as the godfathers of apocalyptic folk, while its leader Tony Wakeford is referred to, alongside Douglas Pearce of Death in June and David Tibet of Current 93, as an originator of the whole neofolk aesthetics. Taking for itself the Invincible Sun, a solar divinity of the ancient Rome, as patron, the band has released over 20 albums, with their music content evolving from a raw and dark, post-punk folk towards more sophisticated, neoclassical arrangements. 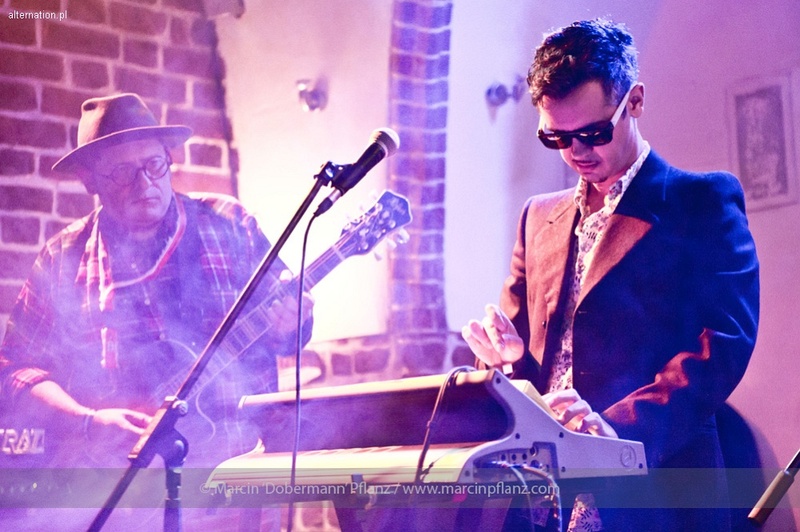 Tony Wakeford, the only permanent member of the group over its long life span, describes Sol Invictus as a "cabaret band from Hell, playing music for the fin-de-siècle", having coined the term "folk noir" to refer to his art. The group's iconography and the lyrical content of the songs have remained under a strong influence of traditionalism as well as a dislike for the contemporary world and the racing materialism of the contemporary civilisation of the West. Sol Invictus's melancholic songs, to a large extent also inspired by the work of the outstanding American poet Ezra Pound, express longing for a true romantic attitude and a long-lost beauty, love and a culture underpinned by values. Wakeford's pessimistic vision of humanity and inhumanity is extremely distinctive, original and marked by its creator's personal character. Experimental noise-rock band founded by Richard Johnson and ex-members of former group, Playground, in 1989/1990. Seen as contemporaries of the then thriving UK 'noise-rock' underground, itself drawing from post-punk, art-rock, psychedelia, industrial music and outsider music, Splintered originally lasted until 1998. They also released many side-project records, often on Steve Pittis' (Band Of Pain) Dirter imprint or Richard Johnson's own Fourth Dimension label but likewise turning up on labels such as Meeuw Muzak and Ralf Wehowsky's Selektion. Splintered ground to a standstill shortly following a European tour in late 1997, although another release happened soon after. Stuart Carter, Hassni Malik and Richard Johnson then formed Theme, a group more concerned with abstract textures, drones, occasional eastern sounds, cut-ups and suchlike than anything resembling the 'rock' employed by Splintered. 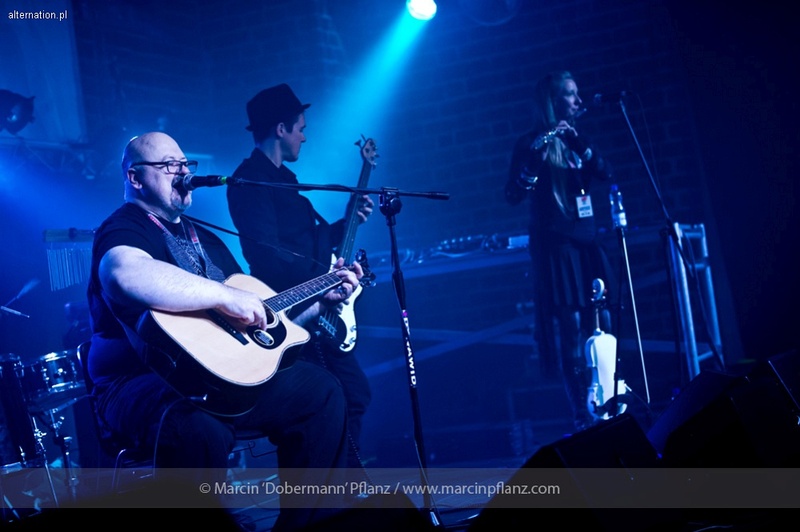 Theme continue to this day, while the original lineup of Splintered reunited in April 2015 for a concert at a festival in London that can be seen as the start of some renewed activity beginning with some one-off concerts. There is tentative talk of new recordings, too. Tabor Radosti - We can consider to be official origin groupment The Tábor Radosti ( Joy Camp ) in 1995. 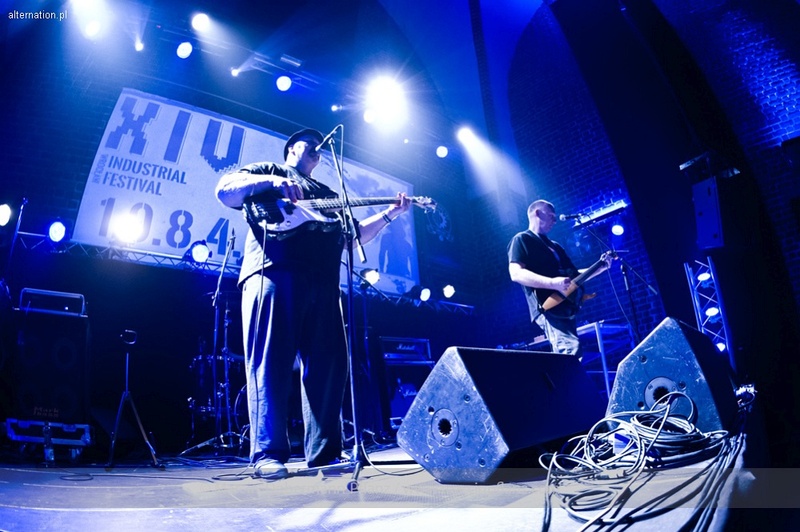 Two years later The Tábor Radosti ( Joy Camp ) came to public with band The 1984 on industrial festival in Telč. The next two years they were improving to new musical technics, which cames to a head perfomance in amphitheatre in Jihlava. At the beginning of the year 2001 was recorded CD Tábor Radosti ( Joy Camp ) , which was introduced in Jihlava in June at the same year. In the year 2003 was recorded CD Hámavál – Výroky Vysokého. The purpose was expression admiration for original religion our predecessors and prevision falling western civilization as consequence extermination this religion and follow up importing to new God of desert to human soul. 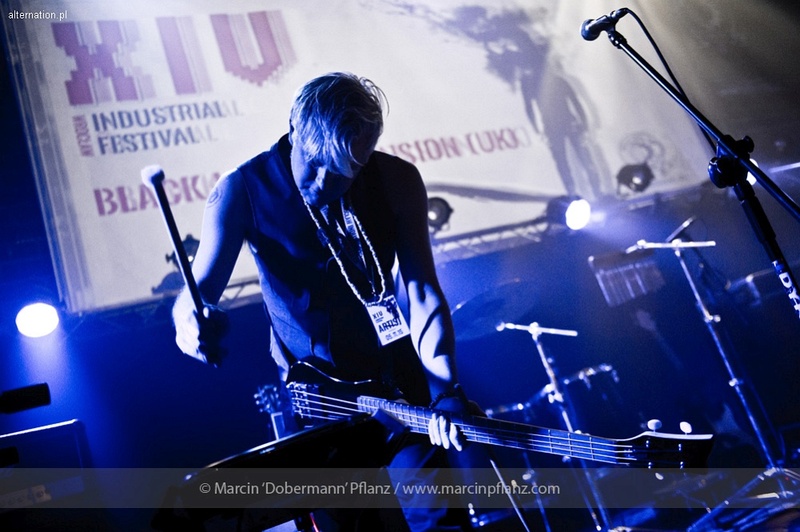 In December 2004 was Hámavál introduced on X-industrial festival in Prague. Since this performance has a new stage of the band begun. Concerts have taken place more frequently. The band has decided for Epidemie Records Label to present a new CD “Lamat” that should reflect the faith in the infallibility of cosmic cycles.2011 was released another album- Agartta at the Slovac label Aliens Production. These days,work on reedition of the first two albums Tabor Radosti and Hávamál at the Austrian label Klanggalerie is going on and also work on the brand newalbum has started. 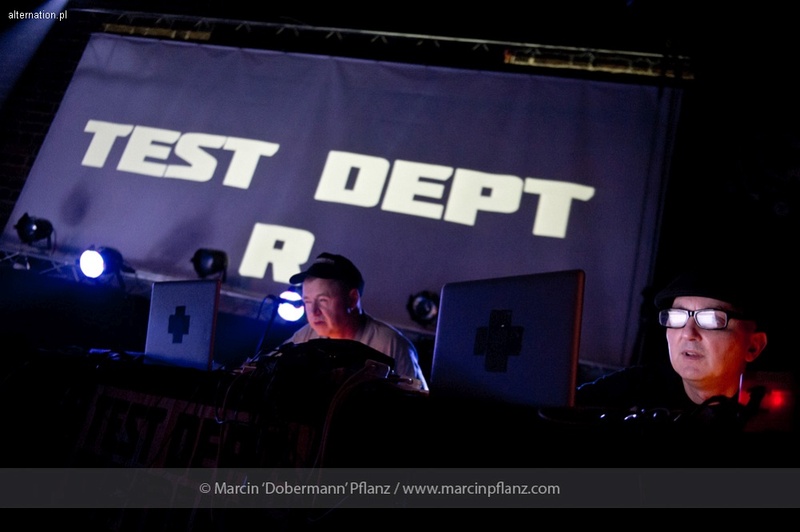 Test Dept., one of the most important bands of the British industrial scene, was founded in 1981 in the half-crumbled industrial areas of south London's docklands. 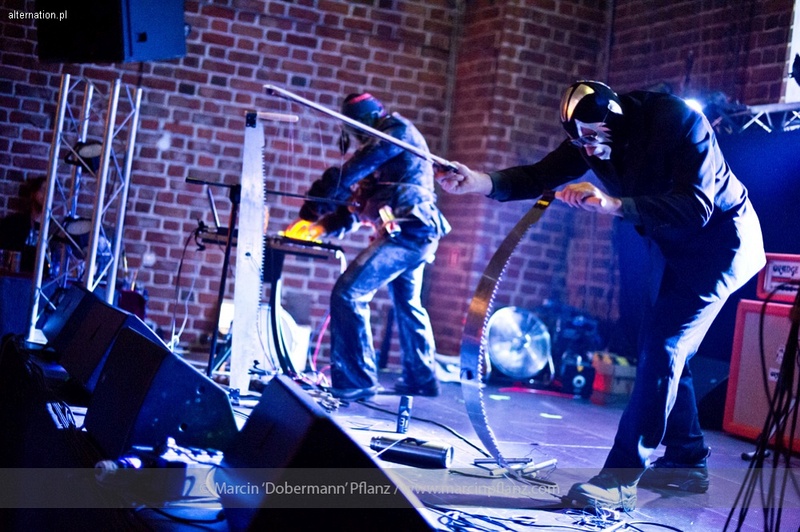 The band's members used pieces of scrap metal and other items found in abandoned factories and scrapyards as instruments and combined them with electronics to create their own, original art - an energetic kind of music that was rhythm driven and fuelled by a radical protest against the reality they lived in. The new century brought a change to the group's style - currently, the two founding members Paul Jamrozy and Graham Cunnington are playing their music as Test Dept: Redux, a project which goes back to the music material from their earliest albums - presented in a new, refreshed form and embedded in the context of the present time as well as problems of today's world. As opposed to being a trip down the memory lane and a mere return to the roots, the project's new work means a necessity to voice criticism of the current situation, the wide-spread corruption of politicians and officials, the ubiquitous dictate of control and surveillance, as well as state violence leading to global conflicts and problems faced by our planet, now seeing the prospect of an ecological catastrophe. Band will play electronically reworking elements of early material "Beating The Retreat" , "The Unacceptable Face Of Freedom" and some new material. Formed in 2005, by the idea of feeling absence, falling towards the Sun. To express through instinctive language. and silent odes. It’s like something falling... Treha Sektori means «the place where they fall». Like a fall having a sensation of rising. Something physical but unreal. To develop a music based on breathes, the break of those breathes, the deconstruction, the descent. Meditative but broken. Treha Sektori is led by an instinctive language. The one that came from anger, prayers, trances... When your mother tongue is faded away. This language comes with the music. A sound for a sensation. Treha Sektori is the project of Dehn Sora, also a member of Sembler Deah (Fr/Be), and graphic designer. Trepaneringsritualen explores themes of religion, magick and the hidden realms of consciousness, taking its musical cues from the old school of ritual ambient & death industrial. Rhythmic and seething at times, and oozing forward with a creeping sense of desolation at others, Trepaneringsritualen conjures forth bleak but mesmerizing visions of the end-times. 19:00 ➝ door / DJ JAKUB S.
23:00 ➝ DJ JAKUB S.
17:00 ➝ door / Old Monastery : DJ SCRAG! 19:00 ➝ Gothic Hall : 1.9.8.4. 02:00 ➝ Old Monastery : DJ SCRAG! Screening of "The Industrial Soundtrack for Urban Decay" - free admission upon presentation of a ticket for any day of the festival, otherwise 20 PLN. Lecture: "Crossing path: Industrial Art and Art Brut" - free admission.